Eyeshadow is such a wonderful way to highlight your eyes and enhance your beauty. But it is quite tricky and challenging to make it perfect. If you don’t know the correct ways to do it, things can go horribly wrong and you may look like you are going to a Halloween party! Fortunately, there are always useful beauty hacks out there to help us avoid common eyeshadow mistakes. In this tutorial, beauty expert Stephanie Lange is going to show us how to apply eyeshadow correctly. 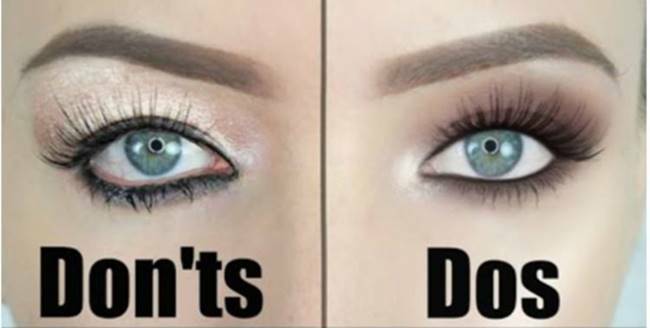 Instead of just showing the correct ways to apply eyeshadow, she shows both the correct and wrong ways (dos and don’ts) using her left and right eyes. In this way, you can see the different visual effect side by side. By following her useful techniques, you will be able to achieve the amazing look on your eyes every single time! Hope you enjoy these beauty tips and don’t forget to share them with your friends!